Thanks so much for the assistance with the boots for my Missouri Foxtrotter, Morningstar Smoky Joe (aka Joey). 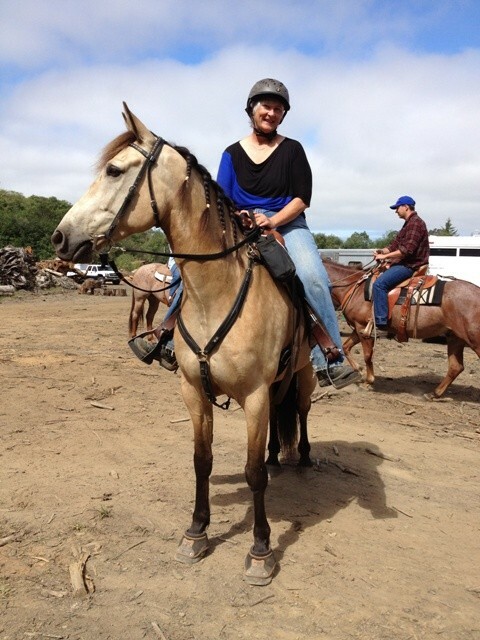 I ride with a local Mounted Assistance Unit in Humboldt Redwoods State Park. 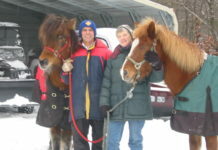 The park includes nearly 50 miles of equestrian trails. The average ride involves constant variation between soft footing and rocks, many water crossings and a lot of elevation change. Because our climate is damp, the water crossings involve mud during much of the year. Any trail boot is really put to the test in this setting. 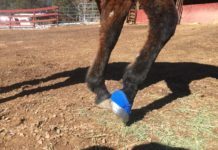 I was initially a little discouraged when the gaiter for the Easyboot Glove tore away from the boot. I am only booting the fronts and Joey’s feet are not entirely symmetrical. I appreciated your guidance on the phone and the videos you provided helped me to get a better fit. He is in a size 2 on the left and a size 1.5 on the right. The switch to the Back Country boots has really provided the best solution for us. 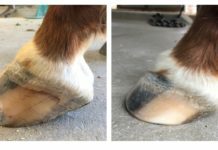 I have about 100 miles on them so far with no damage to the boots, no rubs on his feet and no dropped boots. They are very quick and easy to put on and take off. I have to laugh when I think of all the time I used to spend wrestling with the older style boots. Of course, they were a great option back then, but the product has really come a long way. Thanks again, EasyCare, for your great product and the excellent customer service. I am attaching a photo of Joey in his stylin’ Back Country boots.